One of the most enduring memories I have of my childhood is how vivid the impressions certain movies I viewed made upon me. In the grandly crumbling old farmhouse just outside Chicago that I called home in the 1960's, I came to learn pretty quickly that during certain times of the year, you could expect certain kinds of films to be aired on television which never failed to fascinate me. My mother carefully limited the time and my two younger brothers spent before the mountainous black and white console televisions of solid oak or 16 gauge metal that my father would shuffle in and out of our home, and engaged us in other activities of the imagination and the backyard, which was childrearing practice years ahead of its time. So when I did get to watch TV, it was a privilege we never took for granted, and it was a time my child's mind's eye looked forward to. And as I grew, I began to notice programming patterns at certain times of the year that I never forgot. You could be certain of watching James Cagney's amazingly spirited portrayal of entertainer George Cohan in the musical "Yankee Doodle Dandy" every Fourth of July on WGN. Every Christmas, I could count watching another George (surnamed Bailey) under the omniscient microscope of the hosts of heaven in "It's A Wonderful Life" on some cold December afternoon during WLS's afternoon movie. Still another George - last name Pal - would treat me to his cinematic destruction of the world by alien Martian invasions on an annual basis in "War Of The Worlds", usually on WMAQ. During one of the silent, dark evenings of every mid-October, when all of the earth seemed to be holding its breath between the last warm wisps of Indian summer and the inexorable first blast of northern winter gales, I would always get to watch Charlie Brown and Linus' quest for the Great Pumpkin on WBBM. Time fails me to describe how other TV farings engaged me, such as Patrick McGoohan's uniquely allegorical spy game series "The Prisoner" and PBS's unleashing of Kurt Vonnegut's surreal science fiction in the movie "From Time To Timbuktu," but the fact that I can so freely remember all of these show how memorable these tales and their imagery have been for me. My child's Catholically-bent faith longed to understand how to relate to this Jesus hanging on the crucifixes confronting me everywhere in my religion, and came to perceive that the answer was somehow mysteriously embroidered in the traditions of The Church. I always wanted to understand what it was all about, having heard all the admonitions made to me on my child's level to remain loyal to The Church, but never heard the questions I had on this ever answered (you knew then that didn't ask them in 1960's Roman Catholic parochial school). Loyalty was, after all, always first and understanding wasn't necessary. The Church - La Iglesia - was the pinnacle of God's purpose, just as pristine and spotless a presence in the world as The Virgin was and is and is to come. It was perfection, I was reminded on a hundred points, so how could I fail to accept that as the ultimate reality? It was There and I was just one of the millions of sub-atomic cells somehow connected to It. I never understood where I fit in, but I was told I did, so I unquestioningly believed. How many nine year old kids would do otherwise? Every Lenten season, without fail, several Biblical epics without fail would be aired locally on both network and PBS channels. I would watch them also without fail. I remember Anthony Quinn's furious mugging and chaotic role in the fictional biopic "Barabbas" and the mute and almost mystical treatment of the life of Christ in the silent movie "King Of Kings". Being raised to live and die as good Catholics, per the magisterium's mandate of Rome that hung like a silent hammer over our heads, it was inevitable that my mother would do her best to compel us to watch these flicks and she got no argument from me, as I had no problem watching what she would see as faith-building. The subject matter, of course, connected with the parochial teaching I was getting at our local parish grade school, and it was fascinating to see Biblical stories brought to life, even if I didn't have a clue (and would never quite be taught) what relevance they really had to me. I probably would have loved Protestant Sunday School, but all I had at St. Ann's were irritable, authoritarian old nuns who seemed more interested in hovering over their students to pinch, slap or whack with long, pool cue-like schoolroom pointers than with really taking time to open the truth of the Bible to me (these poor creatures, sadly, couldn't give to us what they obviously lacked). My "brothers" and "sisters" there were little Anglo kids who barely tolerated my Mexican presence (not a few being racist brats) and had all the classic figures of the typical school society (the bullies, the brains, the cheerleaders, the jocks, etc.). It wasn't at all like the kind of loving unity of aspiring Christian youth should have and I can't remember any reciprocation of my fumbling efforts to relate to them in any higher way than just over the typical kid passions (like Scooby Doo, not getting picked last for gym team sports or pizza parties at Shakey's). I stopped trying after the first "weirdo" look, so it was in movies such as these that my hungry child's spirituality found resonance with my inner longing to understand things of faith. The Hollywood version of Bible truth I saw depicted was over my head, but the most compelling memory I took from them had nothing much to do about God, but how I remembered my impressions of what Christians were supposedly like in the times of Christ. Of course, this was all the romanticized idealism of movie moguls wanting to strike chords with religious audiences of their day whose money they wanted to get a piece of, but I didn't know that then. I remember how these Christians seemed so serenely otherworldly, even wraithlike in their quiet, anonymous background settings. But their muted roles were such that when they finally spoke or acted, their actions were heroic or sacrificial and were obviously being done as a reflection of their identified character as disciples of Jesus. They nobly, yet simply followed a higher path of living that stood head and shoulders above the barbarism or politicking of the situations they were put in sharpest contrast with. For me, that somehow fit with what I felt Christians of The Church should be: perfect beings of the highest character fully connected with their God. My kid's black and white perspective on life was blissfully unaware of the human frailties of even the most pious, and I could almost imagine being like those robed figures from another time and place. It even occasionally led me into wondering if I should become a priest. Just Beyond Reach: The Quest For The "Perfect Church"
I think my experiences as a child, longing for encounter and meaning drawn from celluloid imagery of what real Christians might have been like, are similar to what a lot of people in the Christian world today are also hungering for. The most elusive and yet long sought dream of the Christian Church has been the longstanding desire to be part of a "perfect" church that transcends their frequently dissatisfactory and even painful encounters with a church culture perceived as irrelevant, cold and indifferent to their needs and the world's. The church's failures in this tragic arena of public opinion are all too well known and obvious, so we need not tarry there. The point is that despite it's failings, there are many who still long for such a place. Ask a hundred people what a "perfect" church might be and a hundred different answers will be given, but all will pretty much agree that such a place would be where God is worshipped by young and old in unity and truth, where the love, justice, teachings and example of the Gospel of the Lord Jesus are fully embodied in the values and lifestyle of its members, and where the needs of both the bodies and souls of our increasingly godless society are consistently served. It is a vision of heavenly, loving community that underlies the collective longing of many believers who are tired of the petty, carnal, and even corrupt circles of all too many church congregations gone cold and backslidden from pursuit of a vibrant, practical and outreaching love for God as well as all other men and women. I couldn't articulate what I sensed should be self-evident in my childhood religiosity, but I am far from alone as the checkered history of church history is quilted with innumerable attempts by millions of people of Catholic, Protestant and Eastern Orthodox persuasions to find a Christian church fellowship that would embody such an ideal as true Christianity. And of course, human nature being what it is, the conflicts and disagreements among Christian leaders across the ages have helped create the spiritual Babel that now almost completely dominates contemporary Christian life globally. Catholic monastic orders have arisen seeking a renewal of faith only to lapse into the same spiritual inertia that drove their founders to create them in the first place. Disputes over the patriarchal leadership of the Orthodox Church became factional struggles no less divisive than those mirrored in the Protestant propensity to ardently pursue any one of dozens of competing visions such as Methodism, the Churches of Christ and Baptist congregationalism if they seemed to be the most faithful architect of Christian life. Throw in the factors of class and race as well and it is no wonder that Christianity today is the incredibly diverse, almost contradictory movement it has become. Such factionalism has fully infected most of our churches today and such is this development that many a believer has often wondered just which church or which movement seems to be really "the Church," let alone the "perfect church." Still, the shining dream of a perfect place for refuge and sanctuary from the madness of our world compels us to keep looking and searching. While many disillusioned and disappointed Christians sadly fall by the wayside as the result of a crushing disappointment or offense in their journeys through the church world, the majority of us who are resigned to having to suffer the foolishness of carnally immature outrages in our congregations still hope and pine for the church to really "arise." I'm sure many, like me, are up late reading their Bible about the glorious state of the church after Pentecost in the book of Acts and sigh prayerfully "oh, if there was only a church like that around!" Sadly, the modern reality is that too many Christians feel trapped in the slushy mire of a church seemingly preoccupied with everything but the Way, the Truth and the Life and still struggle mightily to free themselves. The New Breed: A New Hope? "For the uninitiated, walking in and seeing a healing service or a Spirit filled church in full bloom, it's quite a wondrous sight. There's a real power there .. there's a lot of love there and there's a presence that's hard to explain. .. Things happen there that defy explanation and you feel like you're in the presence of God, you feel that way real strong .."
(Click here to view White's reverie). The perception that one can sense the presence of a divine Immensity that knows you personally and loves you unconditionally supported by a belief that there are God-appointed people empowered to lead you there is an irresistible draw. A mighty host of these people now herald these claims, and of them all, the tribe of Christian leaders who describe themselves as "fivefold ministers" are by far the most widespread and well known of them all. The fivefold ministry is found almost exclusively in Charismatic and Pentecostal Christian circles and have helped to keep hope alive in the kind of shining and tangible idealism we've been talking about regarding "the perfect church." When examining the extent of the influence of the fivefold concept in the church today, it is easy to feel like you’ve stumbled into a rabbit hole of sorts. It can seem like a wonderland where things that "defy explanation" happen. It is a vast enterprise populated by hundreds if not thousands of earnest men and women in a unique Christian culture filled with diversity, activity and energy. They lead business networks, seek audiences with influential leaders worldwide, convene mass meetings of worship, prayer and teaching attracting thousands and accept the ministry of those said to be actual prophets and apostles invested with divine authority. What we want to do is center in now on defining just what the fivefold ministry is and what its objectives are from the context of the Christian culture it came from. The fivefold ministry is believed by many to be a potent form of church leadership that the Spirit of God has restored to the church. The concept behind fivefold ministry is that men and women are being divinely called to clerical "offices" described in the New Testament as actual apostles, prophets, pastors, teachers and evangelists. No matter where you go in the Pentecostal or Charismatic worlds globally, the teaching that five distinctive types of spiritual leaders have been restored to lead the church into Christian perfection is a widespread Christian tradition. As leaders in many segments of the Charismatic and Pentecostal Christian cultures, the "fivefold ministry" are men and women who comprise the leadership of their respective movements and churches. Those in this unique form of ministerial leadership are supposedly divinely called of God to actually fulfill the five-fold roles as described in the New Testament text of Ephesians 4:11. These leaders are given a high amount of respect by laymen and even higher levels of willingness by them to submit to their counsel and teaching (Click here to view fivefold pastor Tommy Reid explain the fivefold concept further). It is a virtual article of faith by many Charismatic and Pentecostal believers that the fivefold minister is set apart as a living ministry "gift" to the church by divine appointment, a calling that “laymen” do not have. Educational credentials and formal training are often seen as irrelevant, even somehow suspect since the call of God is the basis for their authority and leadership in “fivefold” ministry circles. The chief authentication of the fivefold minister's calling is recognized through the regular occurrences of supernatural signs and wonders in their personal ministry (such as acts of divine healing, fulfilled prophecy and the deliverance of the demonically possessed). This explains their heavy emphasis on the "operation" of spiritual gifts in their meetings when you come across the advertising and biographical information in ads and fliers they create to publicize their ministry. Accompanying this calling is also the fivefold minister's ability to discern direct guidance from God for a given situation, whether by "revelation knowledge" or a interpretation of dreams and omens, assuring a divinely inspired source of leadership. A widely held consensus among them is that prophets were "restored" to the church in the 1980's and apostles in the 1990s, completing the restoration of the fivefold concept. I have heard confidently expressed hopes that these ministers will fulfill the Ephesians 4:11 mandate of leading them onward toward personal Christian edification and personal equipping for ministerial service in the Body of Christ, which explains the especially close attention they are given by members of their flocks. Therefore, the spiritual authority that fivefold ministers claim to have is to be held in the highest regard by the common Christian who has come under their leadership. Citing Scriptural precedent - which we will shortly examine - in the acts of the early church and the New Testament, fivefold ministers boldly hold fast to their belief that they labor under a divinely appointed calling. 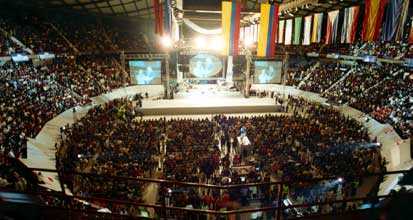 Millions of people now fellowship and worship under the auspices of ministries said to be led by a prophet or apostle, who now claim to be taking their "rightful place" next to the teachers, pastors and evangelists who have played so visible a role in the Pentecostal and Charismatic cultures for over a century. Seeking to be a godly influence where ever in the world they endeavor to minister, the fivefold ministerial ranks are a global community of Pentecostal and Charismatic spiritual leadership that has found a niche virtually everywhere in the world. Fivefold leaders actively advocate the creation and perpetuation of a new kind of church leadership model that will, if fully realized, have the most profound impact in Christianity today. Influential figures in certain fivefold circles view their growing presence and influence as the ushering in of nothing less than a new reformation, believing it to be “Protestantism’s new look” as Fuller seminary professor and church growth guru C. Peter Wagner stated in his 1999 book Churchquake. Indeed, the impact has already began to be felt at every level of Pentecostal and Charismatic Christian society and has been eagerly pointed to by these same leaders as the greatest sign of revival yet, the surest token of God's sovereign restoration of once lost truth to the Christian Church. Note: You can skip over this next section of historical survey to the following section entitled "Discerning The Lord's Body" to expedite your study of this article but you would be, we feel, at a serious disadvantage in understanding the development of five fold ministry. We leave this choice up to you. To understand more fully what the fivefold ministry is and how it has become a such a compelling influence in contemporary church circles, we must look back to the spiritual evolution that created it, a progression of events and incidences extending back well over a century. The popular belief that a fivefold ministry will be restored in the last days has arisen not only out of a certain interpretation of Scripture but out of a deeply felt anxiety over the inescapable tensions between the church and the secular world order that have arisen as time has gone by. This cultural whirlwind has exerted more influence on the Pentecostal and Charismatic churches than we want to admit. It is these confluences of spiritual as well as cultural forces that will help explain how and why the fivefold ministry has come about. Restorationism is the ongoing passion and effort put forth by Christians across the ages to restore to the contemporary church the imagined purity, unity, and authority the early church supposedly had (a study of the New Testament shows something much different and less pristine). With the rise of the Pentecostal movement around the turn of the century there came a rise of expectations that it might be "the" visitation God was sending to restore the church. As the revivalism of the Pentecostal movement began to dawn upon the spiritual consciousness of Christian life at the turn of the century just before and after 1900, it inevitably inspired a massive groundswell of popular support among many who held to the cherished idealism of restoration. This restorationist thought was a driving force in the streams that poured into the new channel of the emerging Pentecostal movement. The Apostolic Faith Movement that arose from the Azusa revival in 1906 declared in its published doctrinal statement from its' very beginning that it stood "for the restoration of the faith once delivered unto the saints" and then proceeded to define how active and in what form that faith was: "the old time religion, camp meetings, revivals, missions, street and prison work and Christian Unity everywhere." (3) These were the structural flames of revivalism that were already being brightly fanned at the time of the Azusa revival's outbreak. So it is no wonder that when the "apostles of Pentecost" such as G.B. Cashwell, T.B. Barratt, and John G. Lake fanned across the world to take up Christian evangelism and church planting, they did so with the firm belief that Pentecost was a central part of God's last days plan for restoring first century Christian truth as well as love as bestowed by their baptism in the Spirit as evidenced by speaking in tongues. Their expectancy of the return of Jesus, drawn from their restorationist views, was far more revolutionary than we can possibly imagine and drove them to on to sacrificial ministry and outreach that is a far cry from many churches today. Their ministries shook the Christian Church with tremors still felt today and we will discuss this further in our next article. It is enough for now that we recognize how the direct spiritual heirs of these early Pentecostal pioneers now shake the Christian Church with temblors of an entirely different nature - these being the fivefold ministry of modern times. Almost a century of time and inconceivably profound social change in our world has passed since those zealously earnest men and women began to band together to seek and serve God according to their full gospel fervor. In its outset, the Pentecostal movement was indeed almost entirely non-denominational and sought to renew the Christian Church with its self-proclaimed "revealed truth" of the "third blessing" of Spirit baptism, evidenced by speaking in tongues and a divinely bestowed love and concern for the souls of men and women. Entirely focused upon spiritual renewal, passionate worship, and fervent home and world missions outreach, it sought to change Christian circles where it spread but encountered great resistance on almost every hand. As the Pentecostal movement began to firmly establish itself in Christian circles under the fires of controversy and persecution world wide in the 1920's and 1930's, it sought to reconcile the belief of the imminent return of Christ to the more mundane need to translate church growth success into ministry momentum. 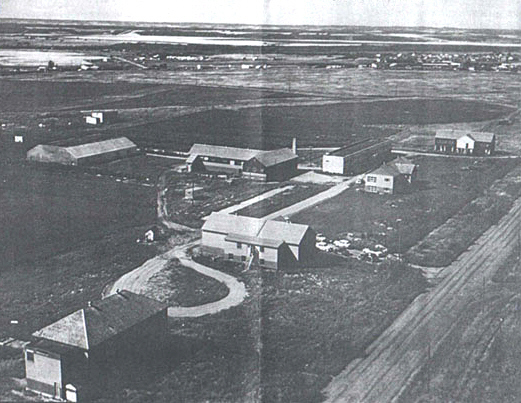 With their successes and advances in church planting and evangelistic work dearly bought by the sacrifices of their first generation of Pentecostals came the inevitable trappings of progress: the need for a clearly defined self-identity and an organization of purpose and polity among them to sustain the vision of "the apostolic faith." What Church of God missiologist Grant McClung aptly called "leaderless leadership" (4) in the early days of Pentecost was not found enough to deal with excesses, controversies and issues confronting it. Even the fires of the Azusa Street revival's influence quickly cooled when faced with the dire needs of practical direction and spiritual leadership for a new generation of Pentecostal Christian disciples. As time went on, therefore, the free flowing revivalism of the Pentecostal movement would become tempered by institutionalization, doctrinal development, creation of liturgy and tradition all its' own, and the rise of the denominational and non-denominational forms of church order. 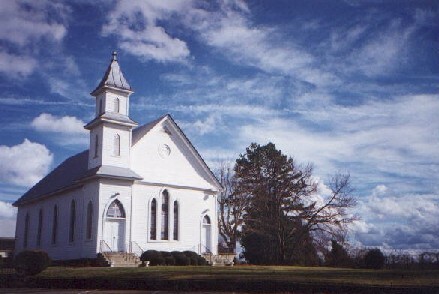 With the coming of church order also came the emergence of intensely popular, Even though many a Pentecostal stood firmly against the creation of church organizational structures that went beyond the local church's congregational form, believing it to be a manmade "quenching of the Spirit" and fearful of it cutting off the liberty enjoyed in Pentecostal meetings, the trend toward organization arose regardless of their deeply felt and impassioned pleas. The reason I believe that organized union of the Pentecostal Assemblies with human leaders will kill the work is that no religious awakening or revival from Pentecost till now has ever been able to retain its spiritual life and power after man had organized it and gotten it under his control (6). Historian Edith Blumhofer observes that "rudimentary forms of regional and national association emerged within a decade" after the Azusa Street revival of 1906, ruefully adding that "some leaders asserted that only some form of accountability could save the apostolic faith from its own excesses" (7). These discerning leaders on many fronts, sympathetic to men like Durham and Bartleman were all too familiar with the practical and doctrinal excesses emerging from various quarters of the revivalism of Pentecost, and saw the necessity for calling for organization of some sort. The temporal (economic and social) as well as spiritual benefits of creating associations for unified fellowship and ministry were too well known by the widely scattered Pentecostals to avoid. So Pentecostals began to organize and create the first loose knit church fellowships up to and including actual denominational forms. 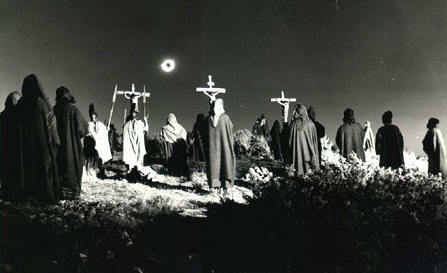 With organization came fellowship that brought new ideas, energies and alliances that drew upon its collective wisdom. With this change, however, many a Pentecostal began to feel that the fervor of the movement began to wane, citing their fear that the Spirit of God was being grieved by the "control" that "man" was imposing on the new work of the "latter rain." Organizational consolidation of the gains of early Pentecostal work brought both positive change and growth as well as disillusionment and disappointment as the "liberty" of Pentecostals began to be tempered by hierarchies of spiritual leadership, formalized doctrinal statements and pastoral oversight. Such organization, however, also brought with it opportunistic preachers who used it as a means for personal gain, church politicking, and outright manipulation in church circles, the very things Pentecost was supposed to purge Christians from. This sadly wasn't lost on Pentecostal believers who beheld this kind of carnal ambition. The tensions within Pentecostalism became heightened when older believers, longing for the days of old when "organization" didn't "quench the Spirit," began to murmur among those who were of the second generation of Pentecostals who were not eyewitnesses of those events. Longing for renewal began to occur and these pressures began to come to a head in the late 1930's when Pentecostal organization was at its first peak of formative development. The onset of the profound changes in society during and after the Second World War further fanned the flames of discontent among many a Pentecostal, even culminating in somberly toned articles questioning if the Pentecostal revival had run its course (8). For many, the institutionalizing of Pentecost into the denominational and the organized had become a painful bit in their mouths that was becoming too intolerable to bear. Such developments as the National Association of Evangelical's acceptance of Pentecostal denominations to their fold and the emergence of the first international Pentecostal World Conference fellowships were seen as carnal compromise. The outright suspicion and even hostility to these events became the watershed moment for many a loosely knit confederation of independent Pentecostal churches, fanning the flames of their embittered criticism of their denominational Pentecostal brethren who themselves struggled with disillusionment. Restorationism being what it is, something had to give, change or come forth. It was this discontented anxiety of Pentecostals over what they perceived as waning spiritual life in the 1940's that helped pave the way for the emergence of controversial movements in the latter half of the decade that offered new promises of end time revival. 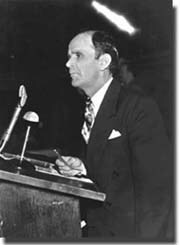 The so-called "healing revival" touched off in 1946 and pioneered by "healing evangelists" such as William Branham, Gordon Lindsay, Oral Roberts, A.A Allen and Jack Coe literally swept the nation for almost two decades. They were either disillusioned former members of Pentecostal denominations or had pursued an independent ministerial course that subtly or explicitly observed how denominations and organization were bastions of division (9), even as they pursued questionable fundraising methods, teaching and ministry themselves. And in Canada, this same dismay over spiritual sterility supposedly brought on by church organization would spur Pentecostal church men George and Ern Hawtin and Percy Hunt and Herrick Holt to break their denominational ties to found the maverick Sharon Bible School in 1947. Their attendance at a Branham crusade that year convinced them that a new wave of revival time was at hand, and the school's classes quickly morphed into extended prayer meetings intent on ushering in that climactic last day revival ("a new thing") ending in the Return of Jesus Christ. 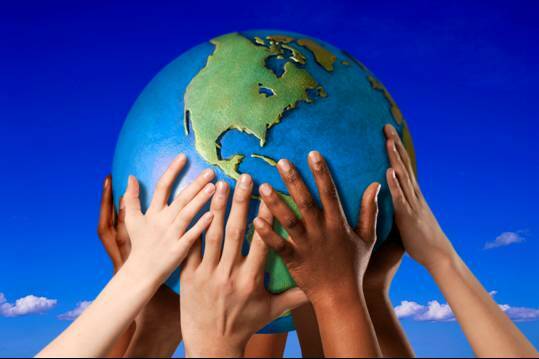 Click here to hear by Real Audio William Branham's view of the fivefold ministry. In February 1948, a season of intensive prophecy and ecstatic praise in the meetings became accepted as the inaugural visitation of God's last day revival, and it came to be called the Latter Rain movement. The movement became a powerful force that burned across the Northwestern and Central parts of North American Pentecostalism that brought not only "refreshing" but rabidly anti-denominational rejection of not only Pentecostal denominational organization but the established Christian church itself. Latter Rain influences split many church congregations and introduced doctrinal and practical excess claimed to be "new light." The Latter Rain movement is perhaps more responsible than any other spiritual influence in Pentecostal and Charismatic circles for the formulation of the doctrine of the five fold ministry. It's unique perspective restorationist legacy essentially laid the foundations for five fold teaching: it taught that in the last days, prophets and apostles would lead the church to perfection as a fulfillment of the Ephesians 4 mandate. Believing that God had divinely set them apart to do a "quick work" of revival and restoration of the global Christian Church, the Canadian brethren assumed that their authority was no less apostolic than Biblical apostleship. "When the prophet spoke of laying on of hands and prophecy, this sent everyone to their knees, faculty and students alike. In those days we searched the Scriptures to see if these things were true. We took off for whole days. All went to their rooms to pray and read the Scriptures. On the fourth day all came out with their findings, and everyone without exception said 'It is absolutely biblical and Scriptural.' They quoted Hebrews 5:2 .."
All ministries did not take part in the laying on of hands -- only those whom the Spirit indicated had such a ministry. It was generally recognized as the ministry of prophets and apostles. (Emphasis ours). .. This belief, though vibrantly expressed by Latter Rain teachers, would eventually be largely rejected by the Pentecostal movement of the day. This was primarily for three reasons: first of all, the memories of Pentecostal extremism set forth by powerful though errant preachers made the movement's leaders, if not the members, quite wary of those who claimed new spiritual forms of authority. Secondly, prior to the 1948 Sharon "breakthrough," there had not been any widespread expectation or call for the creation of a ministerial corps involving apostles and prophets. There had been those who had called for "full restoration" of the "ministries" they saw described in Ephesians 4:11, but the major denominational bulk of the Pentecostal movement did not embrace their teaching, preferring to entrust leadership in pastoral ministries under the accountability of church organization. And thirdly, the doctrinal and practical excess that ensued wherever Latter Rain influences were welcomed was also accompanied by division that confused and split so many Pentecostal churches across the nation that many church leaders had to take stands against them and to break fellowship with them due to their aggressively partisan spirit. 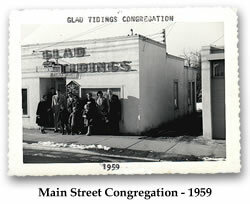 By the mid-1950's, the initial explosive growth of the movement dissipated as the Pentecostal culture turned aside from it, and the leaders of the Sharon Bible School (which closed in 1952) began a new phase of itinerant ministry among those enthusiastic centers of Pentecostalism that had accepted Latter Rain teaching. Their teachings on the "fivefold ministry" had already preceded them and had trickled into the consciousness of many a Pentecostal. New teachers such as Bill Britton, James Lee Beall, Bill Hamon and Ivan Spencer arose to take up the Latter Rain's last day revival vision in primarily nondenominational settings. And inevitably the fascination with the emergence of a "new breed" of leader began to arise among those Pentecostal believers who were convinced that apostles and prophets leading a "five fold ministry" were indeed part of God's last day's plans. 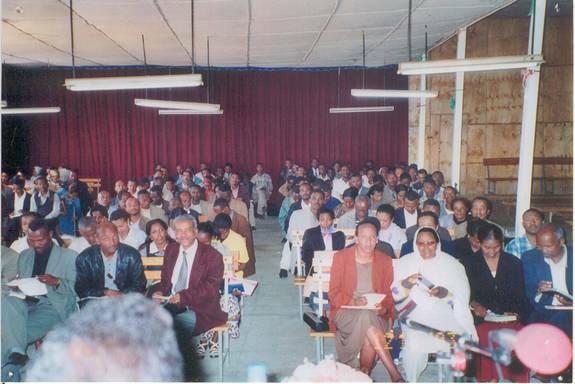 Pentecostal parachurch organizations such as the continued ministries of the "healing evangelists" as well as the Full Gospel Businessmen's Fellowship helped provide the grassroots settings where Latter Rain influences quietly found a refuge that preserved their questionable teachings and practices. 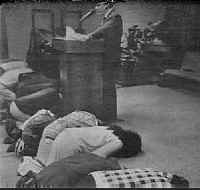 Unaware of the controversies they caused among Pentecostals years earlier, Latter Rain teachings were widely accepted by the interdenominational Charismatic movement in the late 1950's and early 1960's. Many of the new Charismatic renewal groups that emerged, longing for spiritual fellowship that affirmed their discovery of the "charisms" of the Spirit, found common cause with many Pentecostals they found in their communities around them. It is a certainty that Charismatic interaction with Latter Rain-influenced Pentecostals at a grassroots fellowship level was how the five fold ideal was introduced there in hundreds of anonymous occurrences. As the Charismatic renewal enjoyed it's own explosive yet sustained growth, renewal leadership was perceived as in serious need for a "divine professionalism" that would consolidate Charismatic church growth of the 1960's and 1970's (resulting in new emphases such as the development of the "teaching center" church, a renewed emphasis on home cell groups and the highly controversial "shepherding" movement). This only further helped pave the way for a widespread acceptance of the fivefold concept - a five fold hierarchy was established within those circles of the Charismatic movement that embraced it. Today it is impossible to casually visit the social circles of Pentecostal and Charismatic Christianity and not behold the energetic ministrations of those who claim to walk under "apostolic anointings" or "prophetic mantles" alongside those who head teaching, evangelistic or pastoral ministries. They have poorly lit television programs on local access TV channels and syndicated broadcasts on Christian satellite networks. They are at home in urban megachurches as well as services held from their own apartment living rooms. Their claims to being God's chosen vessels through which the church will be perfected are legion and taken very seriously by millions of Christian believers who view them as such. Prove all things; hold fast that which is good. Abstain from all appearance of evil. And the very God of peace sanctify you wholly; and I pray God your whole spirit and soul and body be preserved blameless unto the coming of our Lord Jesus Christ. This readiness to "prove" is directly taken from the thrust of the Greek word dokimazo, which means in the Greek to literally test, examine, prove, and scrutinize. And the literal meaning of Paul's usage of the word pas refers to everyone, all things, and everything. And "all things" means "all things," and "everyone" does indeed mean "everyone." Paul's caution is that Christians should be holding fast to that which is good, and should firmly reject of the evil and questionable with the goal (v. 23) of preparing for the Return of the Lord Jesus Christ Himself. The whole great objective any truly God-called minister should have firmly in mind is the "perfecting" of Christians they are to lead. This is a potent description of the work of the ministry as Paul gives it Ephesians 4:12: the word in Greek is katartismos and is derived from the word katartizo. Both words literally describe the process of making someone or something entirely ready, prepared, and complete, with katartismos actually referring to the task of completely furnishing or equipping the same people or place with the needed resources. And it is precisely at this point that the line in the sand between the false and true fivefold minister has to be drawn so very clearly, an issue we assert must be fully understood before going any further. Perhaps you are wondering why this is such an important issue: we urge you to consider the stakes at hand. Since the fivefold ministry has so publicly and emphatically asserted that its stated goal is the spiritual perfection of the Church in preparation for the Second Coming of the Lord Jesus Christ, the mandate of the Scriptures concerning proving all things and holding fast to that which is good is particularly crucial. The Scriptures are filled with many a prophetic warning of how accepted, even revered church leaders will depart from the faith and in so doing, lead others astray as they draw disciples to fulfill their own egocentric and even ungodly agenda (Acts 20:30 is a prime example). We're not talking about the obviously unstable, "flaky" preachers who stand out like a sore thumb, but those "anointed" we've been told to completely trust, ministers who make a great deal about their mission to ensure that the Church is brought to full Christian maturity and stability. Many of these, the Bible foretells, will go about their business cloaked in the highest respectability all the while harboring the deepest reprehensibility. An old church saying applies well here: as goes the pulpit, so goes the pew. This proverb illustrates the plain fact that the Church can never arrive at any perfected, complete state ready for the coming of the Lord Jesus if the spiritual, yet human, instrumentality God uses to get it there falls short in both purity and maturity. If they cannot model the Christian virtues of godly character exhibiting the fruit of the Spirit (Galatians 5:22) but instead resort to carnal attitudes that show pride, arrogance and a controlling spirit, the Church can not hope to rise any higher than the evil example it's being shown. This has been the greatest thorn in the side of Christianity since Christ ascended into heaven and a primary reason why the Church is scorned, loathed and totally rejected by so many. It's understandable when people who see self-proclaimed men of God act like lustful, manipulative devils don't care to attend their churches. Such "ministers" never fail to resort to some sort of intimidation, bullying and outright manipulation of people and relationships to get their way in their church circles. This abuse is a spiritual disease that has afflicted far too many in the Christian church and has caused unimaginable amounts of social and personal disruption that has for too long been overlooked solely because too many others say the "anointed" should not be "touched." Such ill-warranted submission to corrupt leadership has always been the greatest historical tragedy in the Christian church, and this is no less true with the concept of the "five-fold" ministry. This is a dark side few wish to speak of, much less acknowledge. It sounds too much, many say, of “touching the anointed” or “judging”, but the plain truth must be faced squarely: the last thirty years of Pentecostal and Charismatic renewal history has demonstrated that the unquestioning submission of Christians to certain immature, unscrupulous and even corrupted members of the fivefold clergy has been easily perverted by them into a diabolic controlling mechanism used to exploit and traumatize those they are to care for. It is an agonizing and cancerous reality raging deep within those specific Pentecostal and Charismatic circles that make room for the advance of the “five fold” ministry. Using the pious image of Spirit-filled shepherding to cover it's sinister works, this mechanism has been far too well-oiled in the hands of these clergy, who, though vastly outnumbered by hundreds of thousands of godly five fold ministers around them who toil and serve the Body of Christ selflessly, still exert enormous and ungodly influence. The magnitude of silence from Pentecostal/Charismatic Christian leaders concerning the need for balance is deafening examination of questionable authority is politically incorrect in our shallow culture, and the Church is no different. Great spiritual damage through religious abuse has been brought upon thousands of Christians by authoritarian five-fold ministers who wield control-oriented leadership which rivals the manipulative severity of classical cult groups. We will demonstrate that there are parallels in the errors committed by imbalanced fivefold ministries and those of cults which are both sobering and disturbing, and yet they offer legitimate comparisons that are sound and defensible. After years of outreach and counsel to those impacted by cults as a Pentecostal minister, I know what I speak of. Innumerable testimonies exist that verify this again and again. Many within the Pentecostal and Charismatic cultures have borne the afflictions of the spiritual wilderness that the errors of these ministers have created, a barren world of religious abuse, twisted Scriptures, fearful guilt, and shipwrecked faith. We will examine how this came about, why it has gained the amount of power it has in the Pentecostal and Charismatic movements, what forms this abuse has taken and how the “five fold” ministry itself must change to purge itself of these abuses and to no longer mutely suffer them to exist among us. Let us now examine more in detail what the five-fold ministry says of itself, how it represents it's claims and what are its' overall goals, ideals, dreams and aspirations. We will do this in our next article. (1) L. Howard Juillerat, Book Of Minutes (Church of God Publishing House, 1922) pp. 23, 27. One of the most painful examples of this is seen in the history of the Church of God (Cleveland) itself. For a time, there was a conviction that the movement was the exclusive expression of the Body of Christ. The movement's beloved patriarch and co-founder R.G. Spurling, in his addresses to the first and second general assemblies of the fledgling movement in 1907 and 1908, helped introduce this belief to the new church, although it is arguable that he held similar views at the time of its organization in 1886. This lamentably questionable interpretation of Scripture was a view that A.J. Tomlinson, who would become its first general overseer, would expand upon later when he left the Church of God on his maverick quest to create the "Church of God of the Bible." This notion, while it was never formally adopted as official church teaching, had wide influence that in later years, the movement painfully yet firmly matured beyond. (2) The Apostolic Faith, January 1907, p. 4. reprint from Fred T. Corum, Like As Of Fire (self-published, 1981). (3) ibid, September 1906, p. 2. (4) L. Grant McClung editor, Azusa Street And Beyond (Logos, 1986), p. 4. (5) Cecil Robeck, Name And Glory: The Ecumenical Challenge, p. 18. Paper presented at the 13th Annual Conference of the Society For Pentecostal Studies, November 1983. (7) Edith L. Blumhofer, Restoring The Faith: The Assemblies Of God, Pentecostalism And American Culture (University of Illinois Press, 1993), p. 99. (8) The concern began to escalate into near panic in many quarters. Given the experiential angst that seems to inexorably settle among Pentecostals when revivalism seems painfully absent, such churches seemed sincerely anxious and even terrified at the possibility that the Pentecostal revivalism was burning low. For example, the Pentecostal Assemblies Of Canada, (PAOC) whose denominational paper published articles with doom-ridden titles seemingly empty of the fervent hope that first inspired them: "The Love of Many Waxen Cold"; "Is Pentecost Doomed To Defeat?" and "Is Pentecost Passing?". See Rodney Kydd's article on the PAOC in the Dictionary Of Pentecostal And Charismatic Movements (Zondervan, 1993), p. 697, edited by Stanley M. Burgess and Gary B. McGee. We've got disunified body. We've got brotherly love scattered from side to side. Way down in the heart of every borned again man, this morning, in their hearts they want to embrace one another. They...?... want to do it. There's a many a preacher here in Phoenix that belongs to the churches of different denominations would love to walk in here this morning, and take the Oneness, and the Twoness, and the Threeness, and forget their differences, and...?... Christ is in their heart. But what is it? What's keeping them from it? Their organization. If they get caught in that bunch, they'll get excommunicated. That's a false unity; the Bible said so. That's right. God never did organize His church. Now, don't be against that. God said it had to happen. But the thing of it is among all of us, let's be brethren. (10) Tom Craig Darrand and Anson Shupe, Metaphors Of Control In A Pentecostal Sect (Edwin Mellen Press, 1983), p. 42, 44.